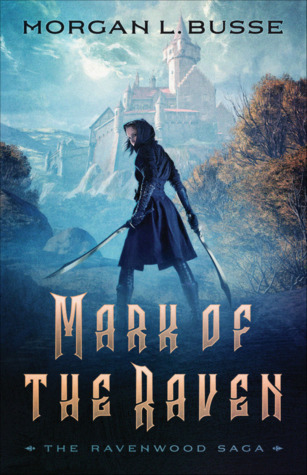 Mark of the Raven by Morgan L. Busse is an enchanting world of fantasy. I simply could not get enough of the plot nor the characters. Every page drew me closer. The dilemma was just bubbling up until the last moment. Then it exploded around the protagonists leaving them with two choices. There was definitely a price to pay…each path before them held consequences. Some more grave than the others. A young Ravenwood woman is finally chosen to be gifted. She receives her gift and is not happy at all. It was like the gift sucked the soul out of her. Darkness loomed over her. Pressure from her mom weighed heavily upon her heart and shoulders. Lady Selena, a dreamwalker, wanted to escape. But her mother is a deadly force to deal with…and her father is a beacon of hope. Lord Damien is from another great house. A power of his that weighs heavy on his heart too. But unlike the Ravenwood ladies, his is more about protection than death. Damien is fascinated by Lady Selena from the first moment. Something drew them together. Lady Selena is drawn to him by his light. Damien sees light in her. But can he save her? Overall, the Mark of the Raven is an exceptional tale. I was intrigued from beginning to end. I loved how easy it was to get within the pages. The story just flowed naturally. I felt like I was Lady Selena. The scenes felt vivid and real. Morgan L. Busse is definitely a writer with a magic for storytelling. I highly recommend this book to all readers.